They say you have to see it to believe it, and boy are they right! When it comes to vetting programs and activities for my students, I want firsthand experience. Sometimes that means taking surf lessons in Ireland (fun!). Sometimes that means learning never to take a night bus in India (terrifying!) But it always means infusing my organization with a wealth of travel knowledge that helps my students have fantastic gap year experiences. When I travel, I always note the atmosphere and ambiance of a new place. I learn about the language barriers, modes of transport and local foods that can color an experience there. Traveling, researching and getting to know as many places as possible enriches my ability to advise my students and guide them to the best possible gap year itinerary. When I do pre-departure calls with students, I often refer to my own travels and am able to impart tips that might be overlooked in a guidebook. In Nepal I visited many volunteer project sites, including this one in the Kathmandu Valley that features a rural homestay. 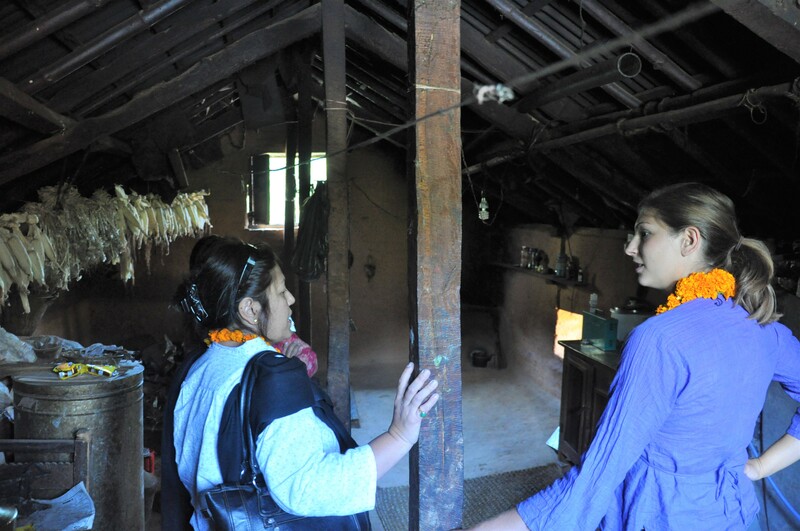 After visiting the school that receives volunteer teachers, local coordinator Prerana took me to meet a homestay family. Homestays are so unique – an opportunity to form deep bonds with people from all over the world. This level of rustic living is not appealing to all gap year students, but seeing it myself helps me accurately describe the living conditions to potential volunteers. Sometimes my students travel independently and work on farms, commonly called WWOOFing. 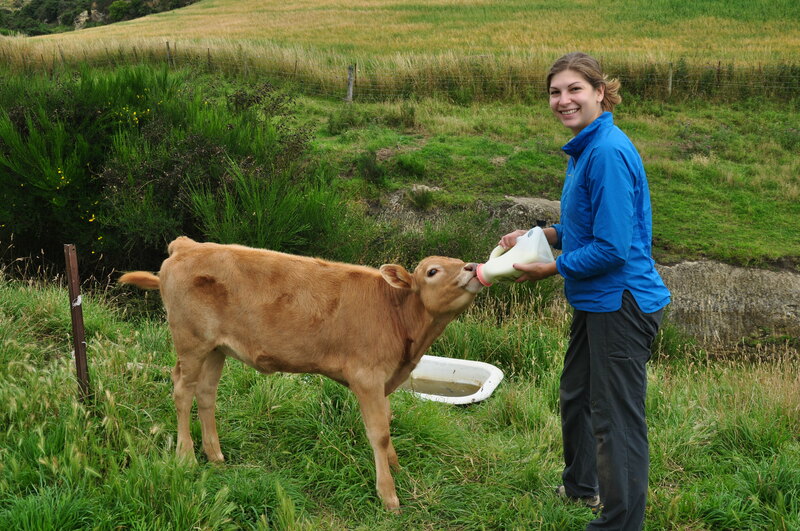 My husband and I WWOOFed in New Zealand while traveling there and now I counsel students on how to contact farms, what to expect from hosts and how to pack for farm life. After traveling in New Zealand for three months, I help students prepare to navigate longer term travel in the country (which is beautiful, by the way!). 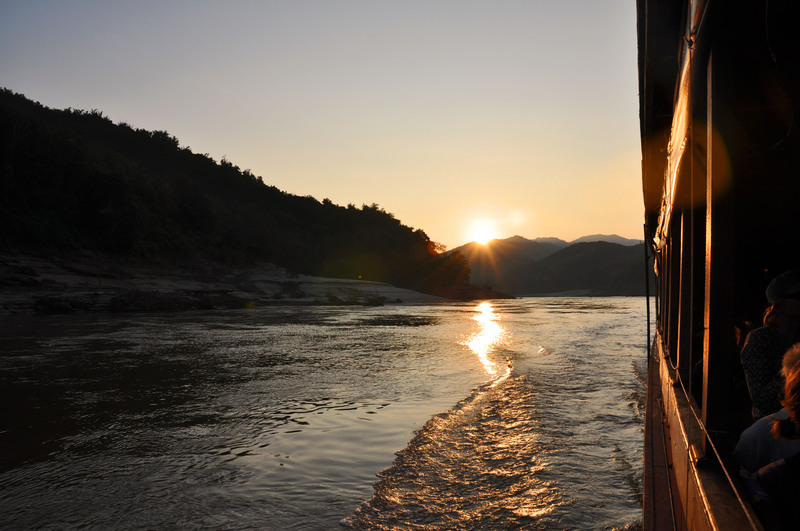 This picture was taken during a two-day journey on slowboat from the border of northern Thailand to Luang Prabang, Laos in Southeast Asia. After the trip I created a information sheet detailing how to make the trip and tips for a comfortable experience. This once-in-a-lifetime float on the famous Mekong River has been replicated by many of my students who travel or volunteer in Southeast Asia. On a trip to Morocco a couple years ago I visited this school for girls outside Marrakesh. As part of my tour, the headmistress showed me the computer facilities, dorms, library and living quarters for volunteers. This school specializes in targeting young women in rural areas who show promise but do not have access to a high school. Volunteers help tutor the girls, mentor them and take them on field trips on weekends. I have taken many family members along with me on research trips. My husband is always game for travel, but I’ve also brought along my mom, sister, and family friends on my adventures. More recently, my trips are including my kids! This is my daughter Nora with me in Oaxaca, Mexico in 2015. 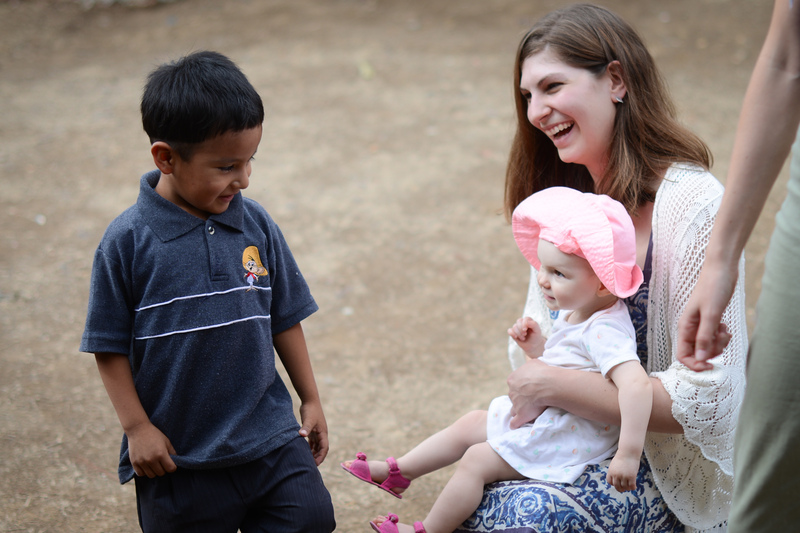 This image is from a day I spent on a tour with a microfinance organization that empowers women with micro-loans. This little boy was the son of a weaver who received a loan from the organization. While in Oaxaca City I was able to visit language schools, an internship program, an afterschool program, a study abroad program and met homestay families. In some cases, I get to see my students while on my research trips. 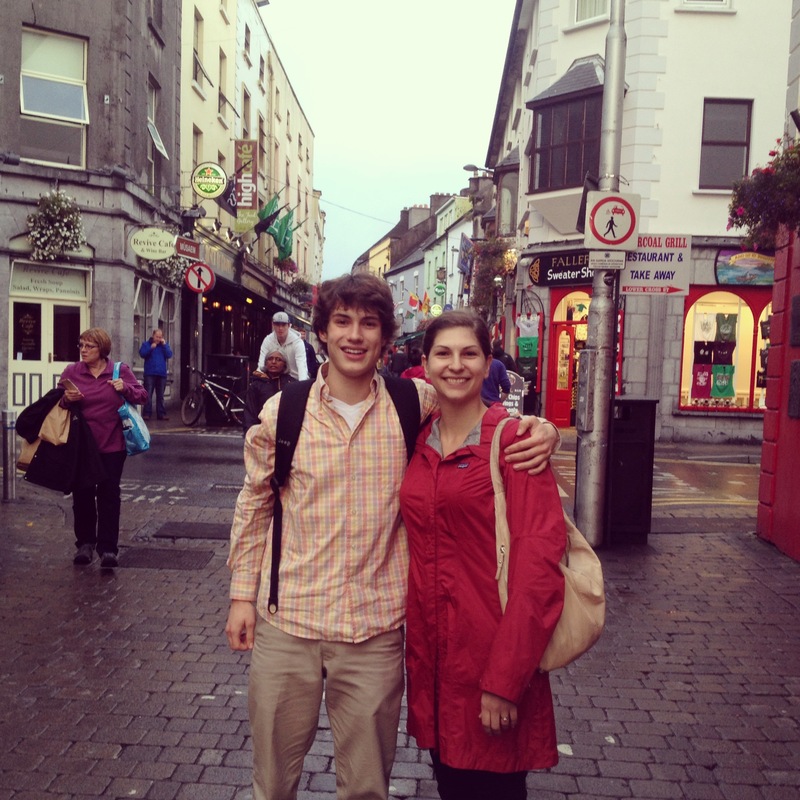 While visiting Ireland in 2013, I met up with EnRoute student Josh who was doing an internship in Gallway. We got together for a dinner of local mussels and he gave me the scoop about which sites to see while I was in town. The student had become the teacher!